We are doing another smaller patch very soon! (Exact details are at the bottom of this announcement) In this smaller patch we aimed to add some new Valentine content in and we fixed some crashes and did some improvements overall. We also did some very exciting improvements and smaller additions to the Battle Royale game mode so make sure to check that out! Fixed an issue related to "left peak" still being possible. Thanks for the report: SurZeus. Updated the player list in OPEN WORLD and SURVIVAL to the new style. The high chain fences physics have been fixed. Players can no longer glitch through these fences anymore. The lower chain fences physics have been fixed. Players can no longer glitch through these fences anymore. Fixed all the other fence issues that appeared after patch 2.14. Everything should be fine again now. bld_boardwalk_farriswheel_01 - Fixed the LOD distance. townbuilding_04 - Created LOD's, fixed the model and optimized the model. townbuilding_08 - Created LOD's, fixed the model and optimized the model. Updated all the spray descriptions. It now explains that once a spray is bought it can be learned to your account and be used on infinite amount of characters (on that account) infinite times. Updated the Arrow and the Explosive Arrow store icons. Updated the M9 Helmet Black store icon. Updated the M9 Helmet Black NVG store icon. Updated the Adventure Backpack physics. When having item physics enabled this backpack will now act normal and how it's supposed to be. Updated the Hunter Backpack physics. When having item physics enabled this backpack will now act normal and how it's supposed to be. Updated the Heavy Armor physics. When having item physics enabled this backpack will now act normal and how it's supposed to be. Updated the VSS Compact statistics: lowered the fire rate and decay. Fixed the store icon of Riot Shield Skillerfreak. Fixed the textures of the Aviator Glasses. These glasses are now correct chrome again. Fixed the textures of the ANRG Alice Backpack. Fixed the some character clothes related to the "Joker" character skin. Fixed some textures. Added back: Riot Shield Geneticz. The new "Valentine Arrow" has been added to the game. This arrow works like any normal arrow but just does a little bit more damage. This item will only available during and around Valentine's Day. Stay tuned for further information about where and when it will be available. Added new character Valentine clothes. Stay tuned for further information about where and when it will be available. Added a new Valentine Riot Shield. Stay tuned for further information about where and when it will be available. Added a new spray: "Easy Peasy Lemon Squeezy". This spray will be available soon. Fixed some flying trees next to the Trailer Park area. Fixed a car spawn in Crystal Lake where the car was spawning inside a building. Improved collision walls around the map. Improved the placement of the trees and rocks in the forests. They are made now so players can't camp behind those in the corner of the maps. Added some more stairs backside of the stadium area. Fixed a bug where you randomly would sometimes visually be in a radiation zone for half a second or so. Improved Battle Royale lobby start timers, it now adapts to how quickly the lobby fills up. The radar now shows exact orientation in degrees. The game volume is now reduced to 10% automatically in the Battle Royale lobby. Improved the Battle Royale fast load system. Added an announcement system with big text in the top-center of your screen for radiation announcements and airdrops. Also added a special dedicated sound for when the radiation is releasing. Added a countdown timer in the Battle Royale lobby to let players know when exactly the Battle Royale will start. Updated the Radiation Release timer from 5 to 3 minutes. Updated some lobby load outs. Fixed some incorrect ammo types. Fixed a bug related to when players die in the lobby when the countdown starts. Fixed the camera. Fixed the radiation moving warning causing some FPS drops. Removed / replaced some tree types that were not looking good. 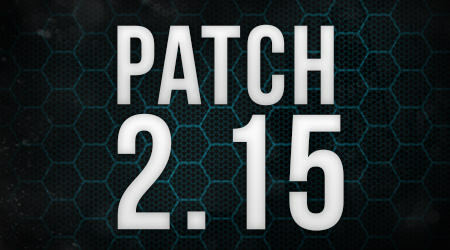 Estimated patch size: 160 mb. Estimated downtime: 30 minutes - 1 hour max. Did you fix the glitch in the stone in the dessert island map? I killed a Super Z in Survival game mode yesterday and dropped nothing like before. Could you please check it? how can I contact the administration about the bug? We are performing a quick server restart to fix some minor issues. Thank you for your patience! Servers should be back up and running within a few minutes. Stay tuned! Clothes for gays))) is with a cutout on the back?) And for real men when will be a good Kamo suit? Servers are back online and running. Enjoy! When will valentine skinboxes start to spawn? Probably tomorrow since it's valentine's day tomorrow! More info will follow in a separate announcement soon I suppose. May the evening gaming be blessed by a better gaming experience!